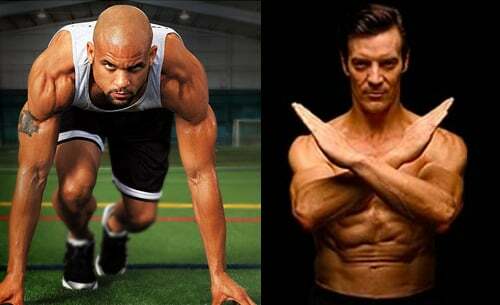 Insanity vs P90x – Who Wins? If I had a nickel for every time someone asked me “What's the better workout with Insanity vs P90X?” I would be a millionaire a few times over. I've finally completed every workout in Shaun T's Insanity and Tony Horton's P90X, and I do have a winner to declare. But first, let's take a look at the workout programs a little closer. I chose to look at them from five different perspectives: The Instructors, Fat Burning, Nutrition, Muscle Building, and Fun Factor. This is a tough one because both instructors have their own styles. Shaun T is a little more “hip” and younger. His key phrases like “I’m so tired I don’t know the name of my moves.” or “Insanity is not sexist!” keep you going when the going gets tough. He also walks around a lot and keeps everyone engaged and makes you feel a part of the action. I find him a little more high energy than dare I say, Tony Horton himself. Tony does a great job in P90X as well. He also has some pretty hilarious one liners like “Bring it!” or “Halfway done, party’s almost over, what a bummer.” that will keep you engaged all the way through the workouts. Tony is in a class all by himself, so while I find him a little less energy than Shaun T, I do find him more polished and funny, so with that, this one is a draw. Insanity is the king of cardio, there is no contest here. With the Max Interval Training that Insanity uses, you are left breathless on the ground ready to puke even if you are a cardio king. I even asked a friend of mine that does Ironman competitions to give it a try and he was dying. P90X has some cardio in it for sure, but there is no comparison to an Insanity workout. In this Insanity vs P90x section of the review, Insanity is the clear winner. 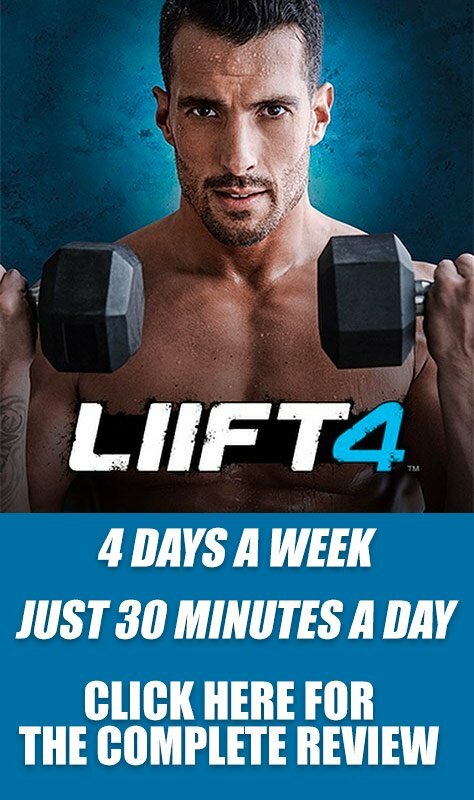 Both nutrition guides are very well put together, something Beachbody clearly always strives to do with all their workout programs. However the P90X nutritional plan seems much more sustainable to me. I'll be honest I couldn't follow the INSANITY nutritional plan after week two because I just don't live my life that way. The P90X nutritional plan follows the three phases of the program, Phase 1 – Fat Shredder, Phase 2 – Energy Booster, and Phase 3 – Endurance Maximizer. I continued to follow the P90X Phase 3 nutritional plan long after I was done with P90X, and still follow the simple rule of: 20% protein, 60% Carbs, 20% Fat. So while the Insanity nutritional plan will get you shredded, P90X nutritional plan is much more complete and realistic over the long term. This one is almost a complete pounding of Insanity by P90X. P90X will build some killer muscles all around your entire body. Insanity will not build muscle. Insanity is a cardio fat burning program first and foremost. P90X is a complete body toning workout. If you follow the P90X workout, you will look like the Man of Steel. If you follow Insanity, you will look more like Batman. I made that up… but it makes sense. The enjoyment of the workout is a huge thing for most people. 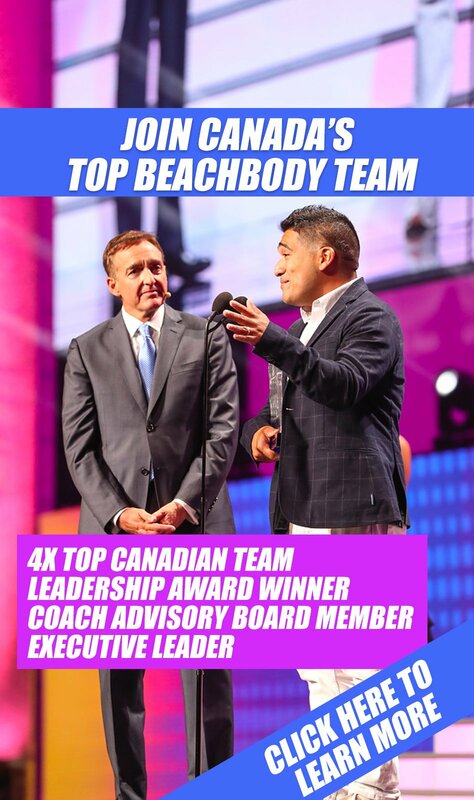 I mean seriously, someone could come out with the best Beachbody workout program on the planet but if nobody wants to do it because it's super boring, who is it going to help? This is where I feel Insanity clearly beats P90X. I might get some disagreement on this one, but seriously folks, the long P90X workouts with the slower pace can get a little boring. Insanity doesn't even give you a second to realize you are bored. There's just no option in Insanity to go hard the entire time and stay totally engaged. The gym setting and the way the program was filmed and put together also is a few levels above P90X, so for that I give the clear win here to Insanity. I hate to say it, but it's a draw folks. You can't really go wrong with either workout program. It really depends on what you want to accomplish, and whether or not you are willing to put in the work to get there. If you are looking to lose weight fast in 60 days, and you are looking for a high energy workout that is going to make you feel like you are running marathons in your living room, then INSANITY is the workout you want. However, if you are looking to build muscle, get in great sustainable nutritional health, and look incredible in a bathing suit, then P90X is the workout for you. You can't really go wrong with Insanity vs P90X. Get them both!